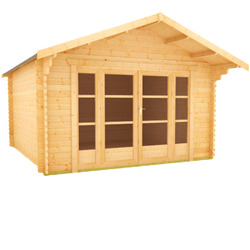 The beautiful Babylon 19mm Log Cabin is a breathtaking feature packed design that will be the cornerstone of your garden for many years. 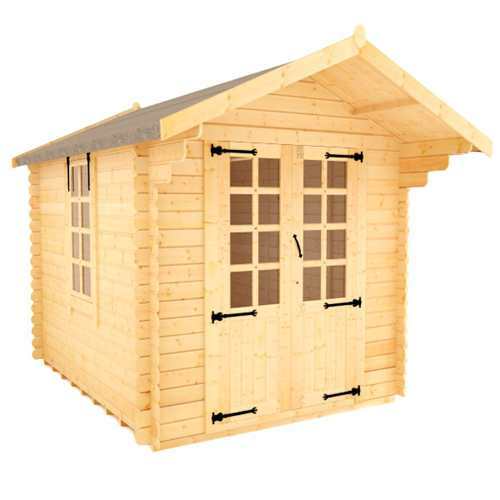 The beautiful Babylon 19mm Log Cabin is a breathtaking feature packed design that will be the cornerstone of your garden for many years. 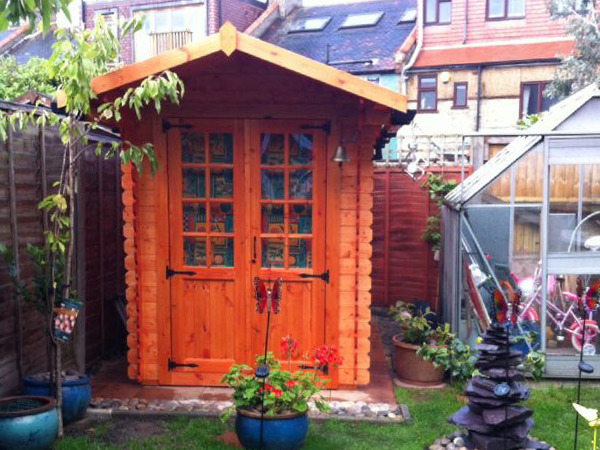 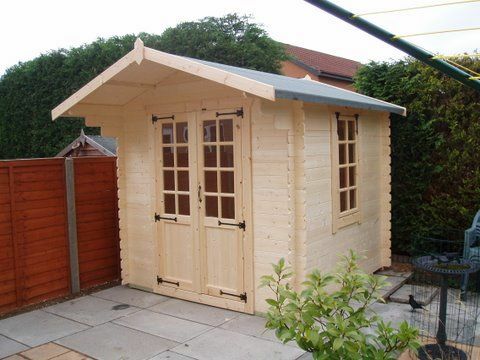 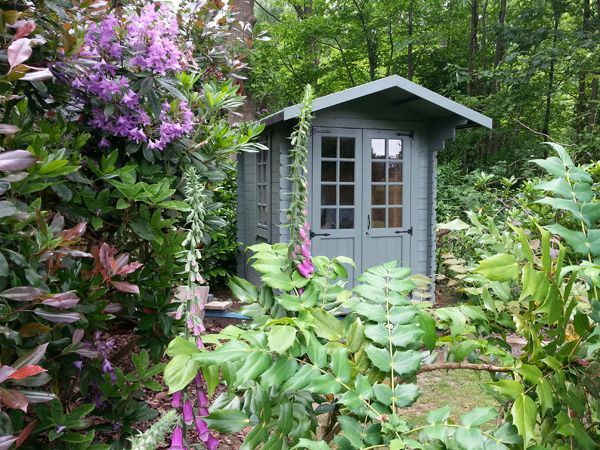 The versatility of this building is phenomenal – this 19mm log cabin is suitable as a summer house, a workshop, or even an up-market storage facility. 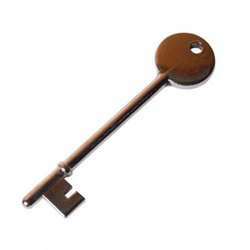 And yet, as the price is so low for such a fantastic building, it is surely an offer you can’t refuse. 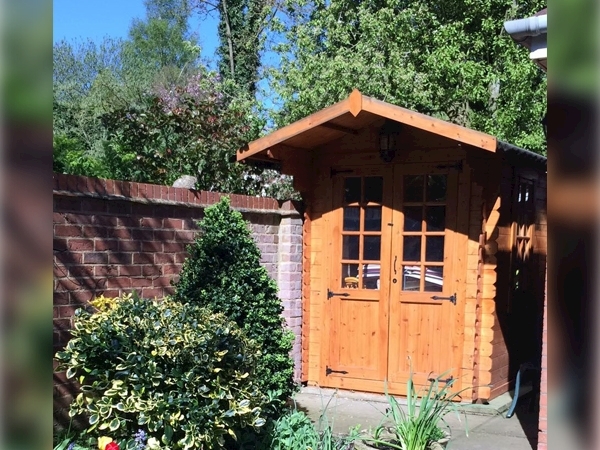 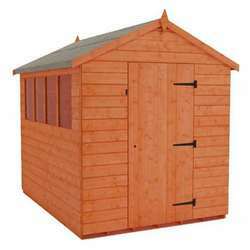 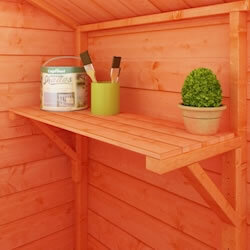 The building is manufactured from 19mm thick interlocking logs – nearly twice as thick as a traditional garden shed, but nowhere near twice the price! 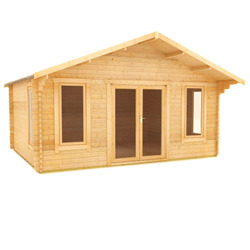 Innovatively, the Babylon 19mm Log Cabin can be assembled with the opening window on either side letting you decide the ideal location for it to be situated in your garden. 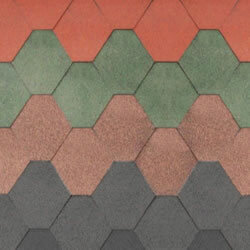 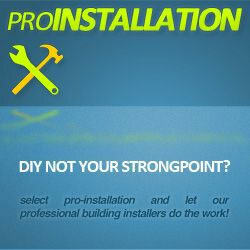 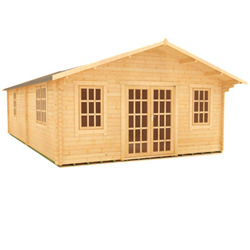 The floor and roof panels are pre assembled, making the construction of your building that extra bit easier and with heavy duty green mineral felt as standard, this is a building that will last the distance and one which you will surely never grow tired of. 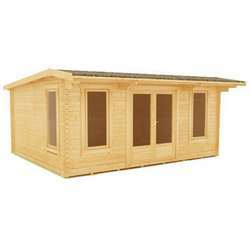 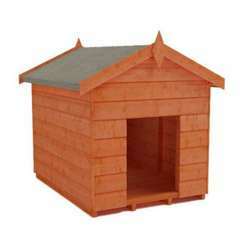 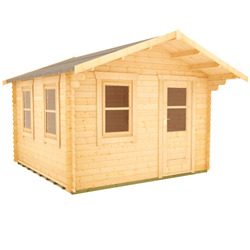 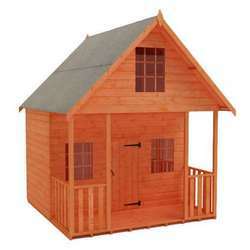 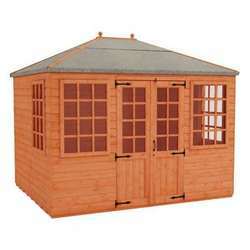 It is essential that this 19mm log cabin is assembled strictly in accordance with the instructions supplied on a firm and level base constructed from a suitably durable material. 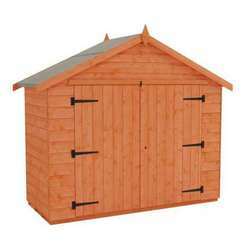 It should also be treated as soon as is practical after assembly and then annually thereafter with an appropriate high quality preservative.